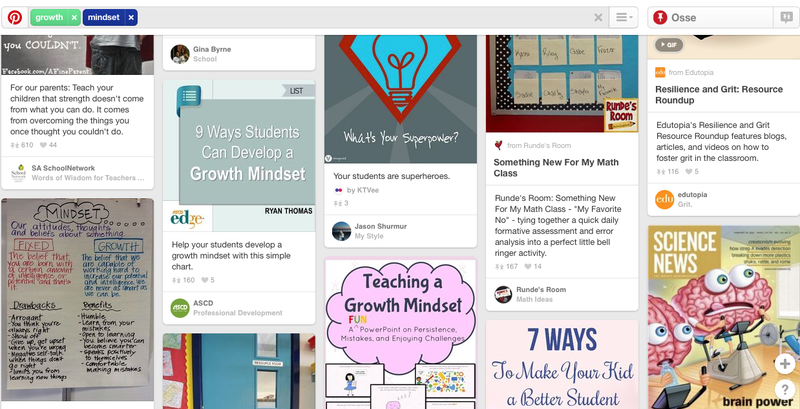 Ten Minutes of Connecting: Day 10 – Pinterest is for more than just crafts and recipes! Welcome to Day 10 of “Couch to Connected”, our commitment to getting connected in November by dedicating 10 minutes to connecting every day. It’s a cold morning, so today we are adding some visual treats to the habit of connecting. It also opens up the resources everyone else is sharing to you, so that you can search in an organized and filtered way. Of course we can become much better at this process as we consider the power of curation, and we will work on that as we continue through this week. 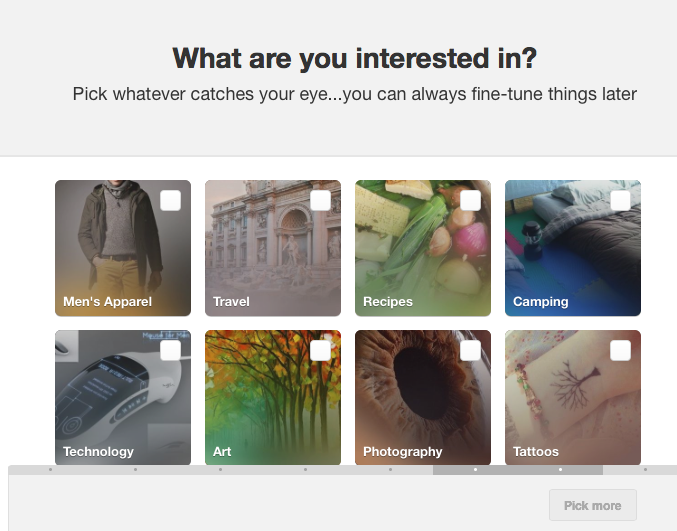 Pinterest uses the power of visuals to enable people to share their favourite sites, images, videos, documents, blogs etc. online as the sort the items onto “boards”. As we follow boards that interest us, we are presented with the “pins” other people make. The tool has become wildly popular for sharing recipes, craft ideas, fashion, decorating, and a wide array of other personal interest items, but did you know that it is also a rich source of ideas and resources for education? 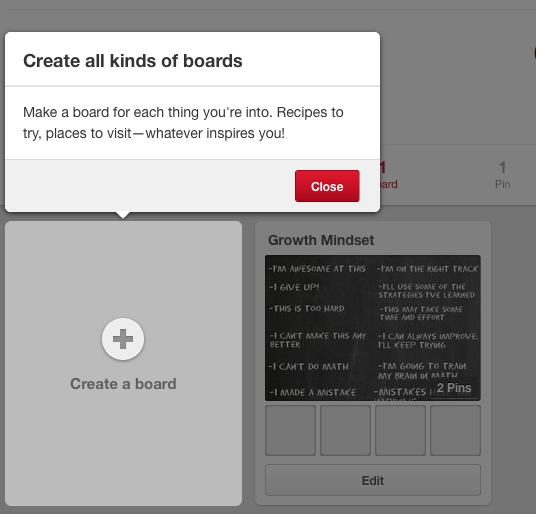 If you are already “on” Pinterest, you can skip over the next section, right down to the bottom of this page where we suggest some boards to begin following. If you are new to Pinterest, you will need to sign up for a free account to begin. Pick a few topics that interest you just to get started. You can delete and modify these once you are fully registered. 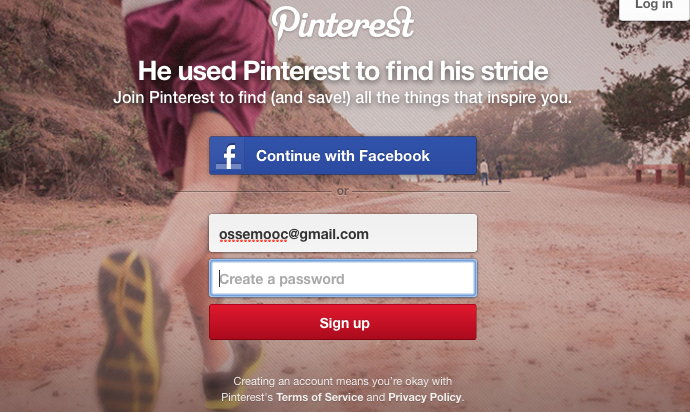 When you see something you want to save and share, click the “Pin It” button. Create the “board” you want to pin this item to. Again, you can modify these as many times as you like down the road. 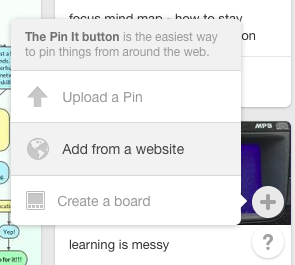 When you pin something, you have the option of following boards where others are pinning similar items. When they make a pin, it will appear in your stream so you are presented with items that may interest you. You can search pinterest for items that might interest you. Think about other possible boards you might want to create. You can make a new board any time. You can pin resources in many ways. You can insert the URL of a website you want to pin, upload, or add a “button” to your browser to make it easy to pin while you are browsing online. Need more help? The help button on the bottom right of the page takes you to the Pinterest help page. 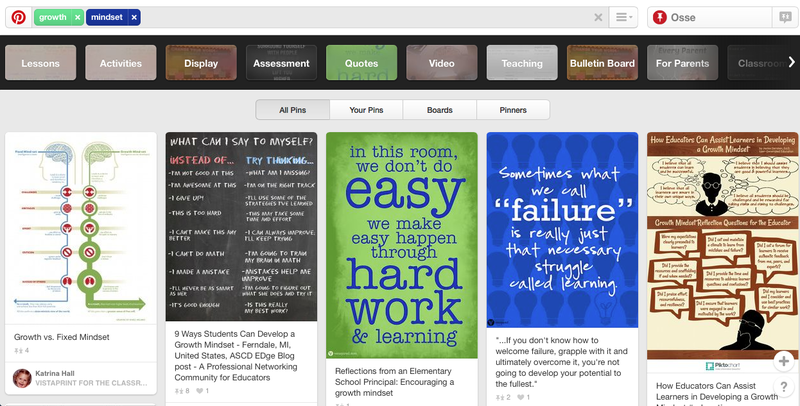 Or, you can ask your PLN by posting on Twitter, or commenting on this blog. 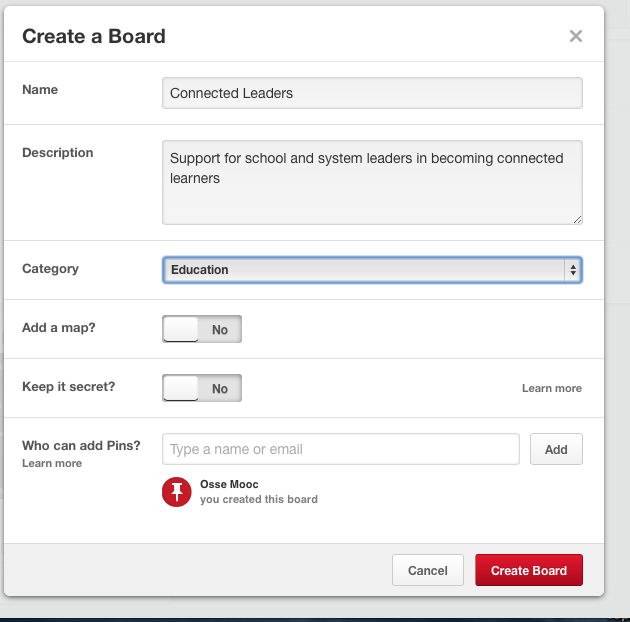 If you are already on Pinterest, what education boards do you already follow? Wow! 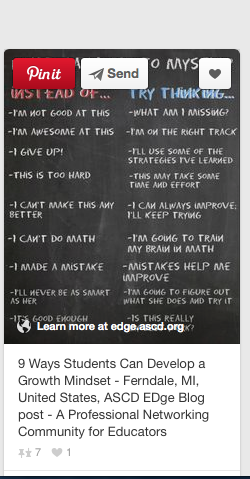 Lots of resources by those three “pinners”! 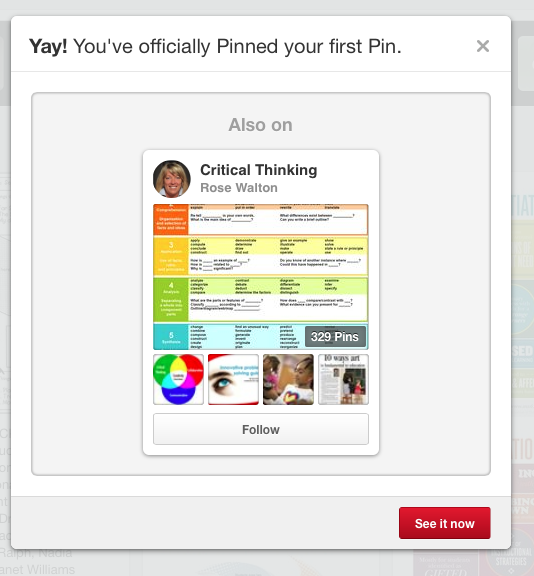 I hadn’t even thought of extending my professional learning circle to Pinterest. Thanks! I am adding a few more to the list this evening!